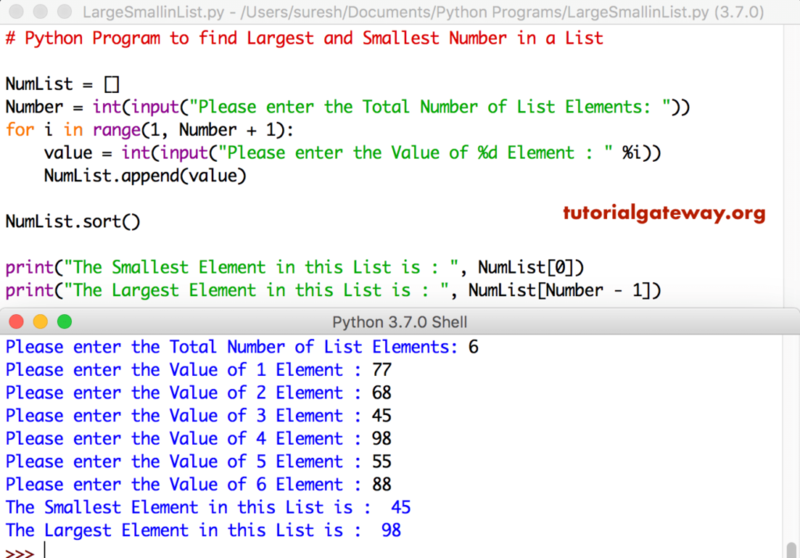 In this article, we will show you, How to write a Python Program to find Largest and Smallest Number in a List with practical example. Before you start, please refer List article to understand everything about Lists. This python program allow user to enter the length of a List. Next, we used For Loop to add numbers to the list. Here, the min, max functions in python will return the minimum and maximum values in a List. The Sort function in python will sort List elements in ascending order. Next, we are using Index position 0 to print first element, and last index position to print last element in a list.